Born in 1955 in Birobidzan, Jewish Region, Russia. Graduated from Art College, Vladivostok-1974. Graduated from Far East Art Institute-1979. 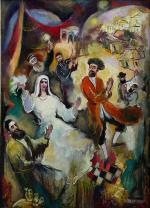 Five of his paintings are presented in the Birobidzan Museum of Modern Art. 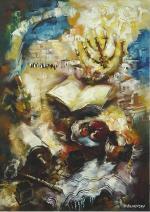 A member of Association of Painters and Sculptors of Israel. 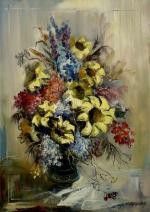 Since his young age, Vyacheslav was a talented boy and had desires to draw. After graduating from several Art schools, in 1980 Vyacheslav Braginsky began participating in exhibitions in St. Petersburg (former Leningrad) and Moscow. At the same time his personal exhibition was open at the Birobidzan Art Museum. 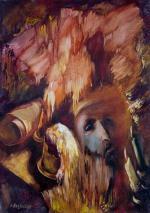 Since 1981, Vyacheslav annually shows his works at various art exhibitions in Russia. 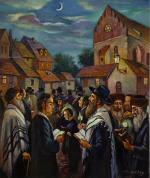 In 1991, Vyacheslav immigrates to Israel. 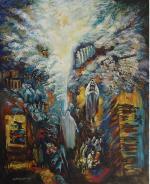 From this time, he successfully works with galleries in Israel. 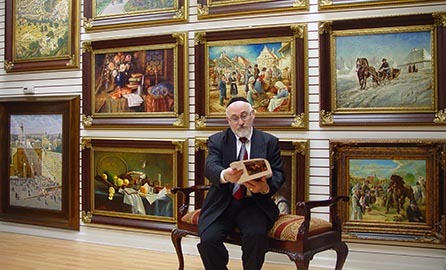 In 1997 he meets Alexander Virthaim, the owner and manager of the renowned Judaic Fine Art gallery "Alexander Gallery". 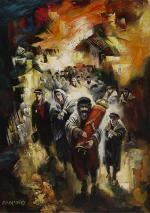 Under Alexander influence, Vyacheslav starts creating exceptional work showing Jewish life, holidays and traditions. Fascination of V. Braginsky's paintings and splendid compositions are connecting the past and future, old and young together, showing a connection between generations. Color is used with great effect in Vyacheslav's paintings to create a feeling of happiness, sadness or reflection. 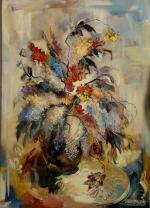 Vyacheslav Braginsky's works are available in private collections in many countries.